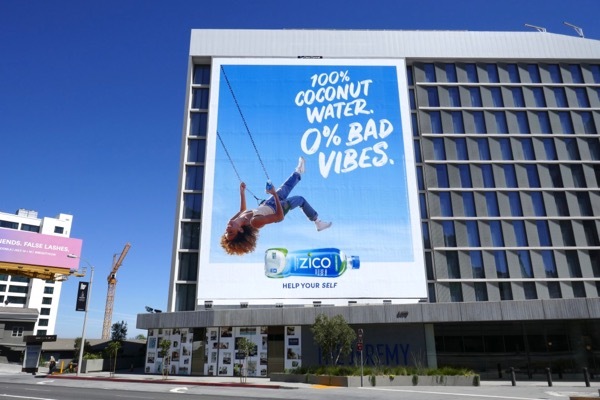 With temperatures soaring in L.A. at the moment Zico Coconut Water is offering some natural liquid refreshment to keep your thirst quenched and to make sure you have a swinging summer with zero bad vibes. This giant-sized billboard was snapped along the Sunset Strip on July 6, whilst the standard landscape version was spotted along La Cienega Boulevard on July 13, 2018. 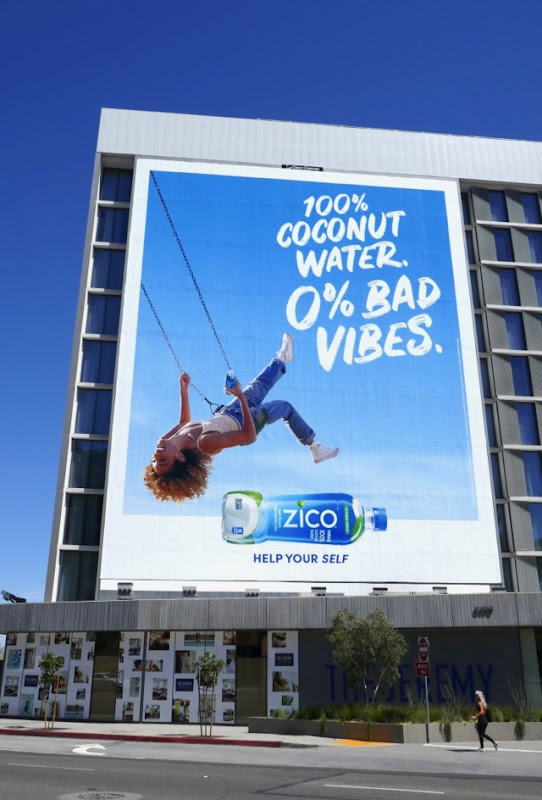 For previous Zico outdoor ad campaigns be sure to check out these Jessica Alba Zico billboards from recent years and these Zico Coconut Water billboards that came before in 2012. 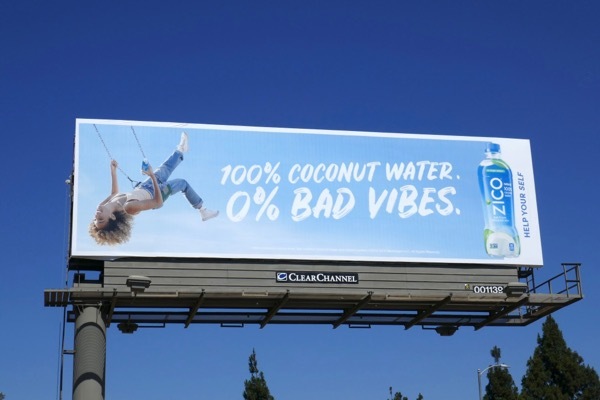 Plus for more competitor examples, you can also compare Zico's ads to these Vita Coco billboards. 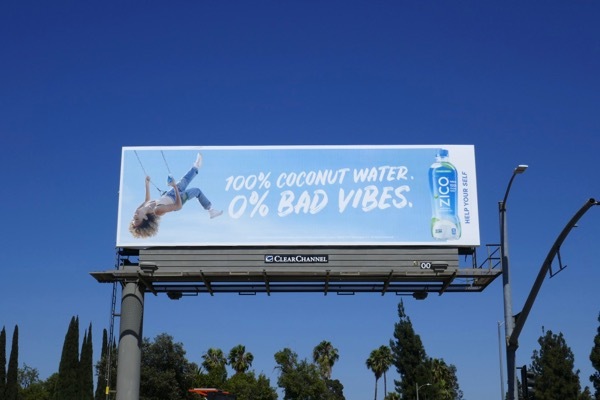 Here's one top tip though, don't try drinking your coconut water whilst swinging through the air or hanging upside-down, it could get messy.